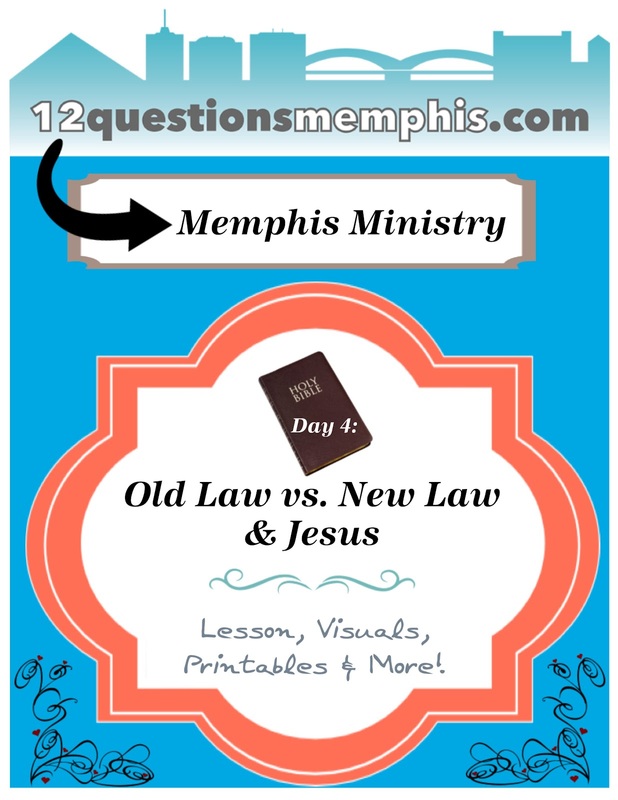 We had a Memphis mission in July which you can see more here. The Elders decided to do a mission work in our home town. The Deacons that work with the children set up a mini VBS style learning session for the kids for the 2 hours that the adults were in the assembly. I asked to teach about Moses. I have a lot of visuals and there is so much to study about him. I wanted to discuss the Old Law and bring the last night of learning into the New Law and Jesus. So, this post is the third nights lesson which was The 10 Commandments. Click here to print the Pillar of Cloud & Fire. Yes, it seems like a lot, but I these are 25 minutes that I used as an overview. I wanted the kids to learn as much as they could! They had 3 other areas of review for each evening. 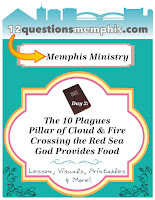 I ran out of time for the 10 Plagues, so I began this lesson with a quick review of the 10 Plagues, then went to the Pillar of Cloud/Fire ( I also handed out the small versions of these. They used them to walk to/ through/ from the 'Red Sea'.) 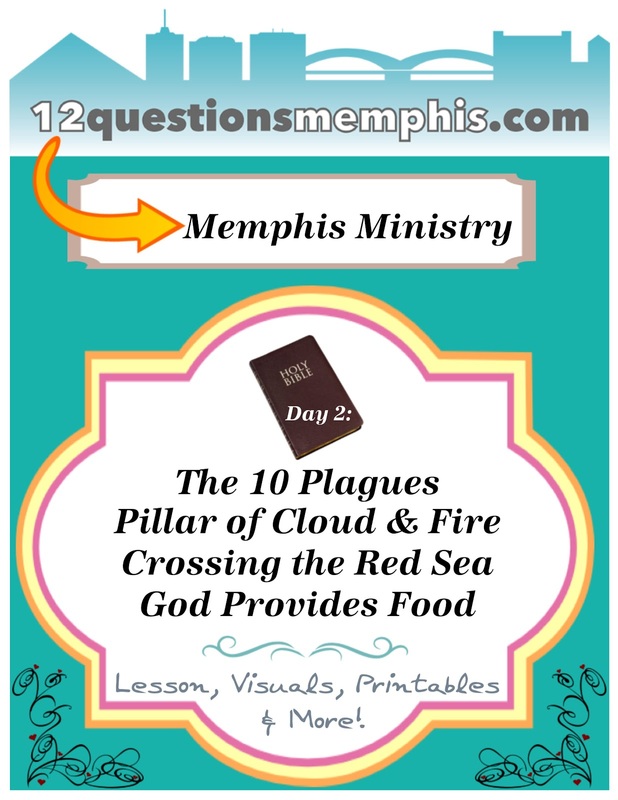 Next was The Red Sea Crossing, and Manna & Quail. These can be modified to suit your needs and time very easily. The rooms I am using are newer, so we are not permitted to staple anything to the walls. So, I created some visuals using the Trifold Boards (Science Boards). I love them anyway and they are super easy to store and re-use. You can find the directions for Mount Sinai here which I already have. I added the blue Trifold board and cut it so it about 18" tall. I purchased the cardboard header for it and used gray bulletin board paper for the 'clouds' I printed the lightening bolts onto yellow cardstock. I use green felt to sit everything on. It was pretty easy and makes a great visual for the kids. Click here to print the graphics. Click here to find the directions to make the Mount Sinai foam visual that is in the above display. I used this Ark of the Covenat Display. And, I am reminded that I have not finished the post on how to make it! So, I will have to finish it! 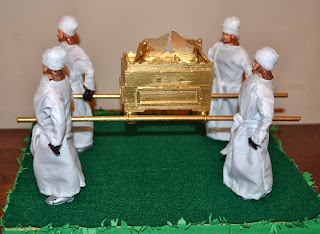 I also used the Tabernacle display. The felt set is very nice also. You can also download and print a free Tabernacle to make yourself. Click here and look for #12. I made this little booklet for the kids to look at as I taught the lesson about the 10 Commandments. It is a simple print, cut and staple the pages together. I put mine together before class and I put the scripture page as page 2. They love these little books! Click here to print the booklet. I also used these 10 Commandment Scratch off's for the students to take home. Amy suggested that the stick with these scratch offs be used for Moses' staff! Great idea! I purchased these snakes and they are about the same size, so that would work great! I decided to use the Magnetic Board Visual idea that Cathy uses for teaching. I wanted something a little different for a VBS style class and I don't have any hands on visuals besides the tablets. You can use these as regular visuals or make them into a flip book. But, to use them as Magnetic Board Visuals, print, cut, laminate and add magnets on the backs of each visual. Click here to print the visuals. Paulette creates a review game for each lesson for VBS for our class and I asked her to do the same for this series. 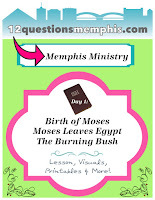 For this lesson's review, Paulette asked a couple of teens to act out each commandment. Then Paulette would say "She/they just broke a commandment! Which commandment was it?" 2. No graven (carved) images Hold up a piece of wood and say "I'm going to make you something to worship." 4. Remember the Sabbath and keep it holy Say "It is the Sabbath and I have to … work, do laundry, clean my house, etc." 6. Do not murder Act like you are strangling someone and they fall on the ground 'dead'. 7. No adultery Blow kisses to someone as you say "Hello, Mr. Jones." I had about 25 minutes to teach the lesson. The kids had the review at other stations during the evening. 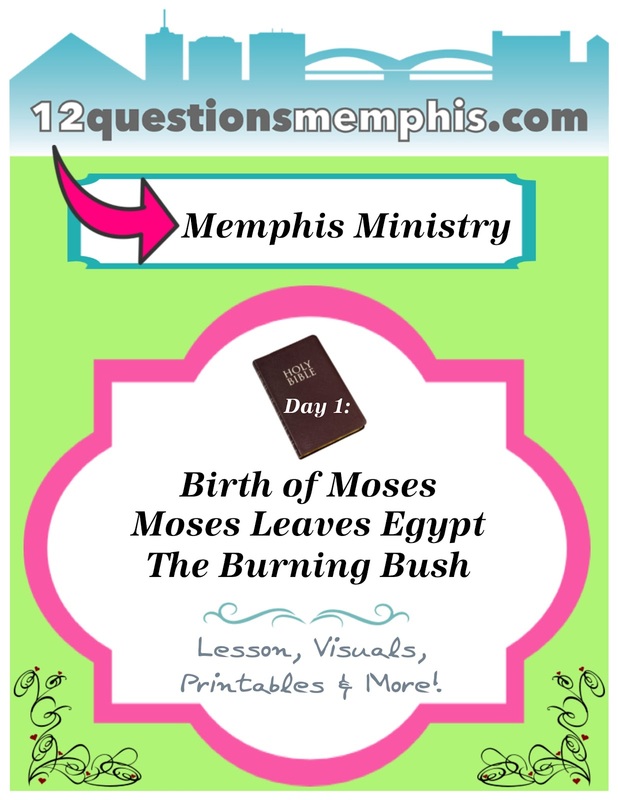 Click here to download this lesson. I had made these headbands first to use with this lesson, then I changed my mind and made the booklet. These are in color only. Click here to print. Click here to see the original 10 Commandments lesson. 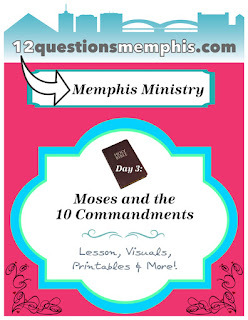 Click here to see the instructions to make your own 10 Commandments visuals (left side). I used the visuals I made from slate years ago. You can als print your choice of 10 Commandments visuals here. Week 1 is here. Week 2 is here. Week 4 is here. (Visiting from Mama Moment Monday) Be blessed!